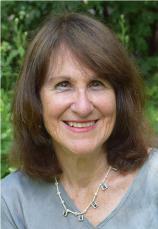 Margaret George is the New York Times bestselling author of eight novels of biographical historical fiction, including THE SPLENDOR BEFORE THE DARK; THE CONFESSIONS OF YOUNG NERO; ELIZABETH I; HELEN OF TROY; MARY, CALLED MAGDALENE; THE MEMOIRS OF CLEOPATRA; THE AUTOBIOGRAPHY OF HENRY VIII; and MARY QUEEN OF SCOTLAND AND THE ISLES. She also has coauthored a children’s book, LUCILLE LOST. Nero Augustus commands the Roman empire, ushering in an unprecedented era of artistic and cultural splendor. But in the 10th year of his reign, a terrifying prophecy comes to pass and a fire engulfs Rome, reducing entire swaths of the city to rubble. Rumors of Nero's complicity in the blaze start to sow unrest among the populace --- and the politicians. For better or worse, Nero knows that his fate is now tied to Rome's --- and he vows to rebuild it as a city that will stun the world. But there are those who find his rampant quest for glory dangerous. Throughout the empire, false friends and spies conspire against him, not understanding what drives him to undertake the impossible. Built on the backs of those who fell before it, Julius Caesar's imperial dynasty is only as strong as the next person who seeks to control it. No one is safe from the sting of betrayal: man, woman or child. While Nero idealizes the artistic and athletic principles of Greece, his very survival rests on his ability to navigate the sea of vipers that is Rome, including his own mother, a cold-blooded woman whose singular goal is to control the empire. But as Agrippina's machinations earn her son a title he is both tempted and terrified to assume, Nero's determination to escape her thrall will shape him into the Emperor he was fated to become. There seems to be no end to the fascination and continued appeal surrounding Queen Elizabeth I, the elusive monarch whose motives we still wonder about 500 years after she's gone. Margaret George delves deeply into Elizabeth's thoughts and struggles, giving audiences a striking vision of England's commanding queen and the monarchy that birthed the Golden Age of England.